Tav hadn’t guided a hunter in the seven years since he took over the outfit and even though the logistics of running the business were weighing on him, we both knew that this opportunity to hunt together was a rare gift. 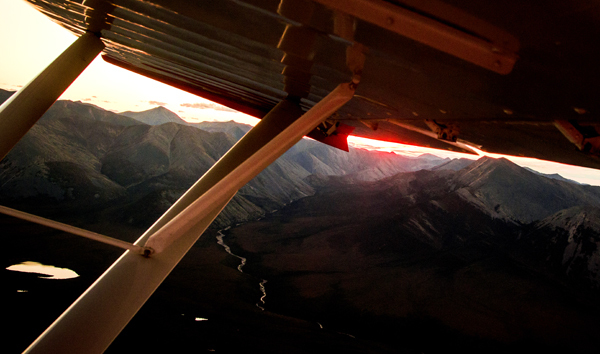 Sunset over the Mackenzie Mountains from the window of a float‐plane. 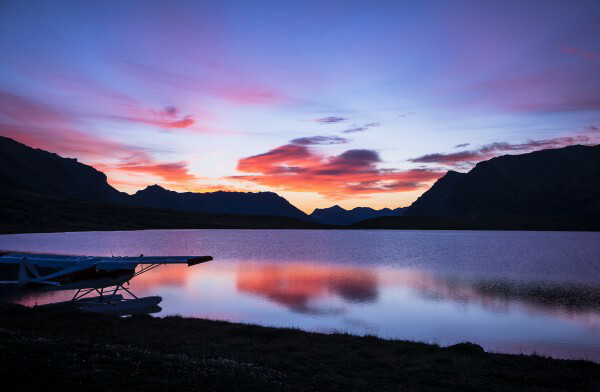 Tethered float‐plane in the heart of Arctic Red. Sunrise on the first day of sheep hunting. A few hours later, the aurora faded to a frosty morning cold enough to sting my nose with each breath. With the sky still gray in the east, Tav and I shifted gears from a morning slumber to strong purpose and we headed east around the lake. Our boots, perfectly in line, left one set of moist tracks in the frosted tundra as we headed toward a crowned valley lined with steep cliffs. Ram country. We traveled up the valley for a couple miles, and spotted three young rams and a group of caribou bulls along the way. We were following a caribou trail near the stream bank when Tav paused and raised his binoculars. I followed his gaze but, didn’t pick out anything unusual. He was intently glassing a steep band of cliffs far up the valley and calmly whispered, “Yep.” I noticed a smirk on his face and knew exactly what “Yep”, meant. At over a mile, Tav had spotted the back line of a feeding ram. There’s no substitute for the eyes of an experienced sheep guide. The ram’s citadel. My ram is feeding above the center band of cliffs. Can you see him? Tav did. My turn at the scope judging the ram. My eyes were focused on the ram’s ears, watching for any movement that would indicate he had heard me. Holding my breath, I slide the safety forward and slowly raised the rifle. In that moment the weight of a 20-year quest lifted and the crosshairs settled on the rams shoulder. He never stood from his bed. The first moment I laid hands on my ram. An old ram may be the pinnacle trophy for a mountain hunter. They live hard lives in hard country and this ram’s horns showed the wear of 13 years in the Mackenzies. Chipped and broomed off by countless battles, those horns reminded me of the long road that led me up that mountain. I was chipped and broomed off a little myself over my 20-year quest. Much like this old ram, I stood on that cliff overlooking were I had come from. Not just the valley below, but the years of dreaming and the last days of circumstance that lead me up that ridge. I realized then that this ram was more than a trophy. He embodied everything that is wild and untamed in the mountains. He embodied why I am a hunter. I extend a special thank you to my friend Tavis Molnar and all the staff at Arctic Red River Outfitters for one of the greatest adventures of my life. 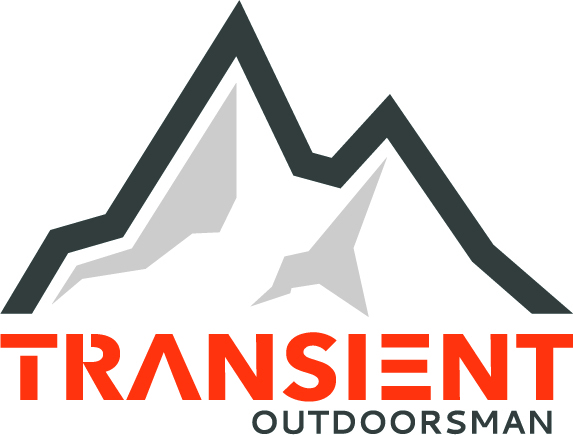 I would also like thank PROOF Research, Kryptek Outdoor Group, Vortex Optics, Kifaru International, and Wilderness Athlete for the hunting and backpacking gear provided to help make this hunt possible. Finally, thank you to my friends and family. Without your support I could never climb these mountains. This ram is more than a set of horns.